After 6 years at HostGator. This morning there was all this noise from out side. It turned out to be a couple 100 birds making all this. 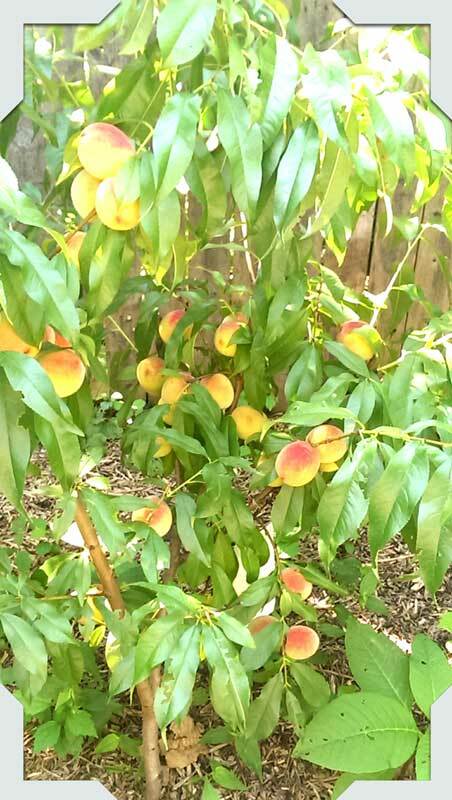 We planted this peach tree late this spring. Look at all the peaches it has. We have quite a few backyard friends. Frogs, squirrels, chipmunks, spiders, snakes, geese, ducks, rabbits. Our newest friends are kinda rare! Momma (Candy Crane), Papa (Charlie Crane) , and Baby (Chipper Crane). [nggallery id=6] We planted four dwarf fruit trees ! We are excited to see how they do. Our strawberries seem to be on steroids this year, I love it ! The two pictures ofÂ the strawberries show the amazing growth in just a few days ! The weather seems to be perfect for growing so far. I really enjoyed this book it is a well written novel that grabbed me from the beginning and didn’t let go till the last page. In the survival genre of novels, I’ve come to expect a glut of survival information poorly integrated into a so-so story. This novel is different. It has an entertaining plot and characters with surprising depth. This book doesn’t vacillate between a story and a survival gear catalog as so many of the survival novels do. In most instances it seamlessly integrates the survival tips and tricks into the overall story. It also doesn’t trade entertainment for realism. The story is credible but you probably won’t be as fortunate as these characters if a scenario like this ever occurs. My anticipation level was high from beginning to end. Although I didn’t want to, I did have to put the book down on occasion because it is a long story, but I couldn’t wait to pick it up again. Don’t expect a survival guide. This might make it a disappointing read for some, but for the average person looking for a great ‘end of the world as we know it’ novel, you will not be disappointed. I look forward to the next installment by this author. If his follow on books are as good as his debut novel he should have a long and successful career as a novelist. We have been using an electric NON-Stick griddle for years. They work great but we had to replace them at least one a year. No matter what I did – spray with cooking spray, use lower heat, use higher heat, boil water in it after cooking I could not get them clean. After a few months of use the NON-Stick would fail, I don’t care to have that stuff in my system. So I went looking for some sort of replacement for the NON-Stick type of griddle. I came across Lodge Logic Cast Iron Reversible Grid. Every once in awhile you come across a product that really does excel one’s expectations. Whether grilling steaks on one side to hash browns eggs and pancakes on the other we were amazed at how the heat is even and the surface easy to work with. This covers 2 burners on a regular sized stove. Heats up nicely. One of the cons with this griddle is the lip around the edge is not tall enough. If your not careful your scrambled eggs will run over the side. Our old Cuisinart Automatic Grind and Brew Coffee Maker finally had more issues than we could do with. We loved that coffeepot. We used every day and twice a day on the weekends for the last five years. So is going to be kind of hard to find a replacement to we liked. I spent a week looking online reading reviews and I finally came to the conclusion that a single cup Brewer is what we wanted. I decided that The Scoop was the coffee brewer for us. Use your favorite flavored coffee grounds. Best of all it can be used for tea and hot chocolate! This morning the temperature was -8. For here that is might cold. I am always amazed how hardy annals are. This morning I found these kitty tracks coming and going. Last night we had our first real snow storm come through. [singlepic id=68 w=320 h=240 float=left] I go up to let the dog out and saw what was left of our gazebo. The snow just snow collapsed it. I was out snowblowing at 6:00AM this morning. Sue would not have been able to get out the driveway. Between the street and sidewalk plows they made a HUGE mound.